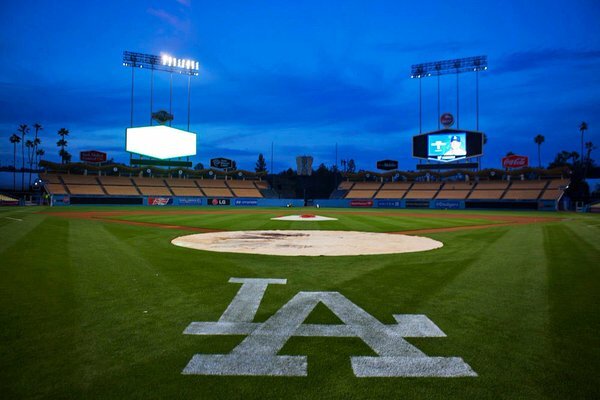 STADIUM FOR SORE EYES: The Dodgers are back at Dodger Stadium tonight for the first time since losing Game 5 of the NLDS on October 15, 2015 to the New York Mets. In addition to tonight’s game, the Dodgers and Angels will meet Friday (7:10 p.m., RHP Kenta Maeda vs. LHP Hector Santiago) at Dodger Stadium, with the series shifting to Anaheim for a 6:05 p.m. game Saturday (LHP Alex Wood vs. RHP Nick Tropeano). After an off-day Sunday, the Dodgers kick off the regular season on Monday against the Padres at PETCO Park. The Dodgers took five of their six regular-season games against the Angels last season, sweeping a series at Dodger Stadium and taking two of three in Anaheim. Last year, the Angels won the first exhibition Freeway Series game and the clubs tied, 6-6, in the second and final game at Dodger Stadium. A LOOK BACK: The Dodgers scored a run in both the eighth and ninth innings, but it wasn’t enough as the club dropped its final game in Arizona, 4-3, to the Cleveland Indians yesterday. 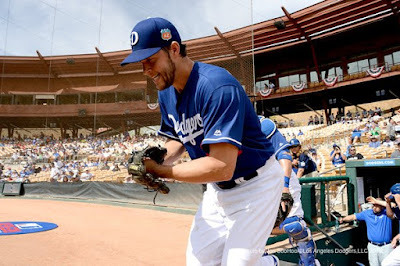 Clayton Kershaw fired 3.0 scoreless innings in his final tuneup before Opening Day, which takes place at PETCO Park in just four days. At the plate, Trayce Thompson, Charlie Culberson and Rob Segedin had two hits apiece and Thompson blasted his third home run of the spring season. Culberson drove in two runs and leads the Dodgers while tying for eighth in the National League with 14 RBI this spring. WHAT A SELLOUT: The Dodgers would like to thank all the staff at Camelback Ranch and the City of Glendale for a great spring that officially ended yesterday. The Dodgers had seven sellouts and through 15 home dates, the club averaged a Camelback Ranch-record 10,389 fans while breaking their previous high of 147,066 with a total attendance of 155,841. 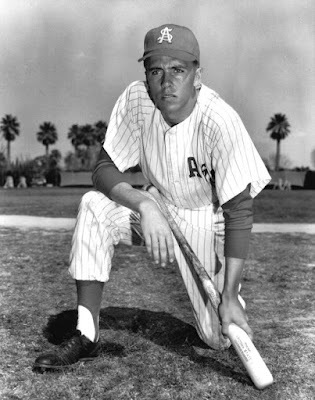 KID IN THE HALL: Congratulations are in order for Dodger broadcaster Rick Monday, who earlier today was announced as a 2016 National College Baseball Hall of Fame inductee. Monday played just one season of varsity at Arizona State, but made the most of it, earning National Player of the Year honors from The Sporting News for the 1965 National Champions. He batted .359 with a school-record 11 home runs and blasted two home runs during the College World Series. The rest of the 2016 class includes Augie Garrido, winner of five national championships and the winningest coach in college baseball history, former Dodger J.D. Drew, a two-time consensus All-American and winner of five national player of the year awards in 1997, Jackson State coach Bob Braddy, the winningest baseball coach in Southwestern Athletic Conference history, Marietta College pitcher Matt DeSalvo, whose 53 wins make him the winningest college pitcher in history, another former Dodger, Houston's Tom Paciorek, a two-time first-team All-American who led the Cougars to the finals of the 1967 College World Series and Valdosta State coach Tommy Thomas, the winningest coach in NCAA Division II history.